Well, if it was good enough for Prince, Bowie and Hendrix … then it’s good enough for us. We like the choice, although too much violet is well, simply TOO MUCH violet. Best in small doses perhaps! Keep an eye out and see if you start noticing it in marketing campaigns and materials this year. Now, if we rewind 12 months, avid Chatterblog readers would recall that back in 2017 the world’s favourite colour was announced as ‘Marrs Green’. Did we see it about in 2017? 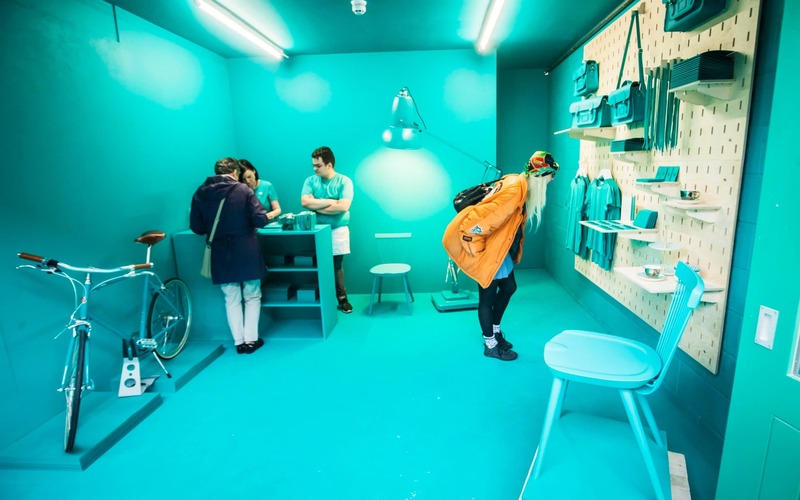 Well, Marrs Green was not exactly flooding our feeds, but this snap from Telegraph.co.uk (below) showed that it was making it’s way onto bikes, furniture and clothing in a specially marked shop to celebrate the world’s favourite colour.